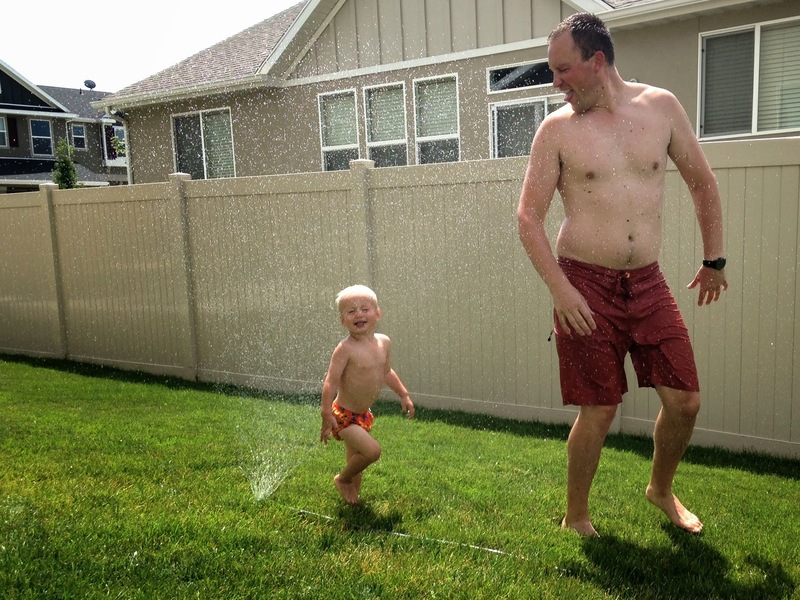 run through a simple sprinkler on a damn hot day! Both of their faces make me smile so big! This is so cute! Don't you love watching your two favorite people play together and just enjoy each other in general? How cute are those pics! 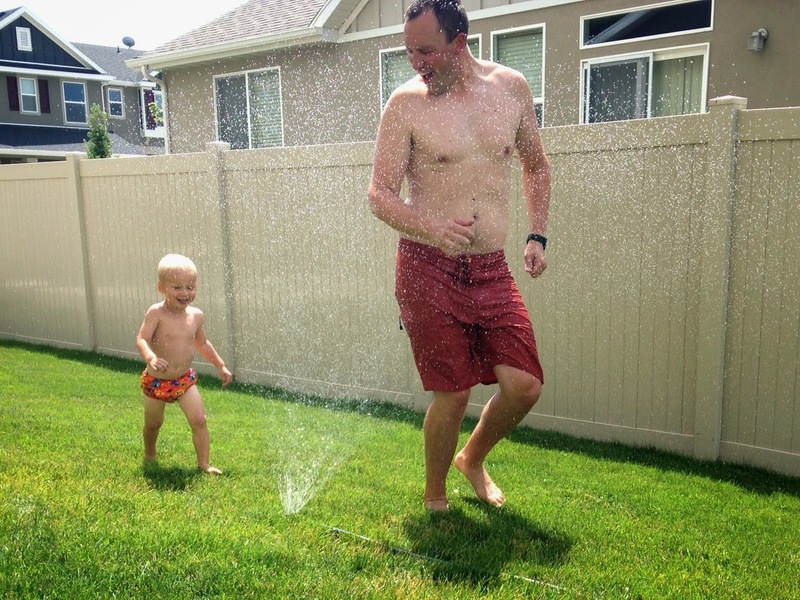 So sweet :) There's nothing like sprinkler fun with your little one! Adorable - you can't help but smile when looking at these pictures!! :) How fun. Oh geez this just made my day!! This reminds me of when I was little. 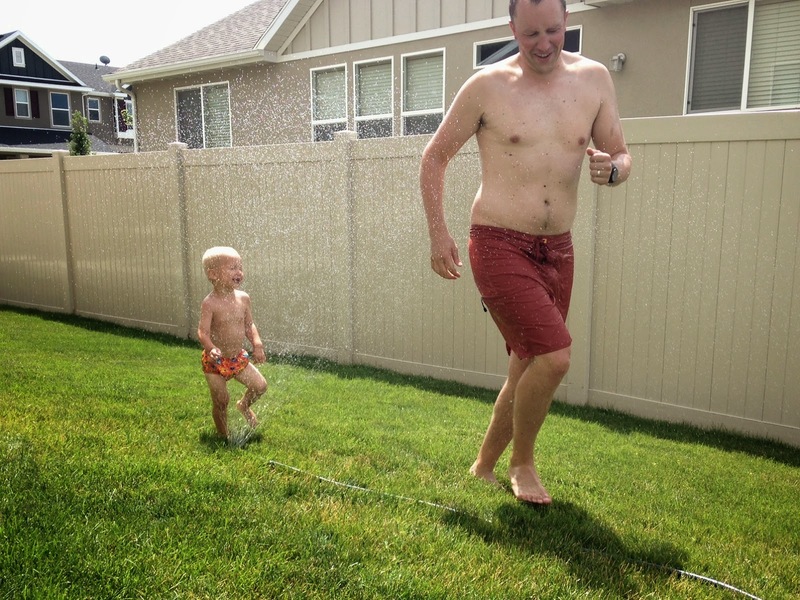 Since we didn't have a pool, running through the sprinklers was the next best thing! Too cute! The huge smiles on their faces just makes me smile too!